Join us on a 4 hour (8 km) guided walk, with an environmental scientist, through the rainforest valley. Experience the amazing 100m Minyon Falls as they rise out of the rainforest, in the spectacular (World Heritage Listed) Nightcap National Park. Explore this amazing ecosystem, see wildlife, learn about the rainforest and have lunch (included) & swim at the waterfall. On this longer loop walk you awalk through the valley of the giants, with huge Brush Box and Strangler Fig trees and see Condong Falls. After the walk enjoy some afternoon tea/coffee and a Byron Bay Cookie. Moderate to hard walk includes some hills and clambering over rocks. Minyon Falls and the untouched Minyon valley makes you feel like you have gone back in time to when dinosaurs roamed the earth. The valley with its ancient rainforest vegetation gives it all a very ‘Jurassic Park’ feel. Minyon Falls are awesome as they rise over 100m out of the rainforest, towards the sky. It’s magical! All this is on the doorstep of Byron Bay, NSW. Join us on the short or long guided walk with a qualified Park Ranger to explore this amazing spectacle. Tour days: Tuesday, Friday, and Sunday. Pickups: You will be picked up from your accommodation in Byron Bay. There is a surcharge for other pickups. Wear a pair of sturdy covered shoes. Thongs and sandals are NOT acceptable. Bring a raincoat (if you have one, we have ones you can borrow). Bring water (600ml should be enough). Bring your swimming costume and a towel, if you want to swim. Vision Walks have been providing eco-tours that allow you to connect with the natural environment no matter what your age or abilities for the past 10 years. All their local guides are qualified Park Rangers and provide unique insights to local natural and human history. Travel in their luxury 8 seat, 4WD vehicle, with comfy seats, air conditioning, video, sunroofs, easy to get in and out of. They are a licenced commercial operator in NSW National Parks LIC18/89. There are plenty of ways to travel to and from Byron Bay, which include; driving, it’s about 1 hour from the Gold Coast, 2 hours from Brisbane. The nearest airports are at Ballina 30 mins and the Gold Coast 45mins. Byron Bus Company will go the extra mile for any bespoke transfers. Between Byron, Ballina, Gold Coast, Brisbane. 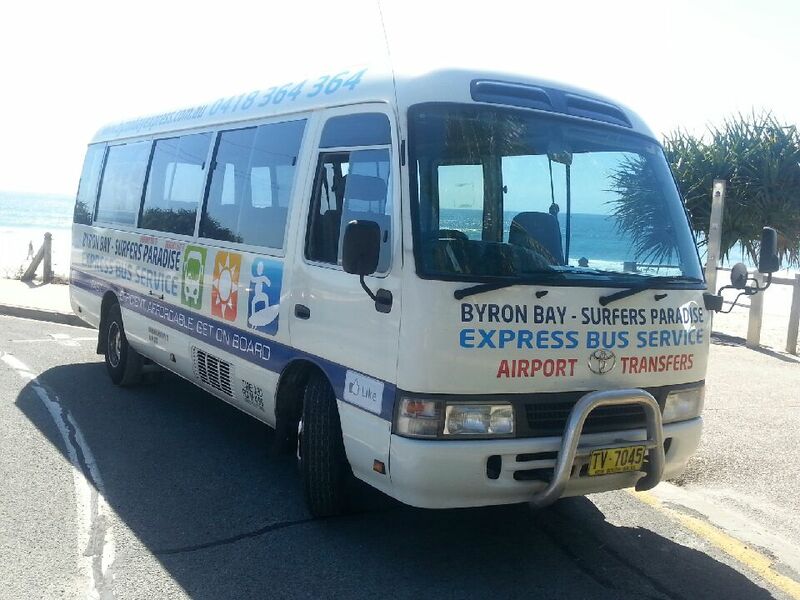 Byron Express run Surfers Paradise to Byron Transfers. 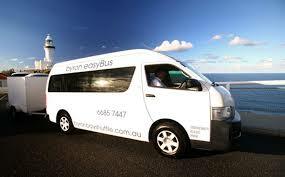 Byron Easy Bus run Brisbane to Byron Transfers and Airport transfers.